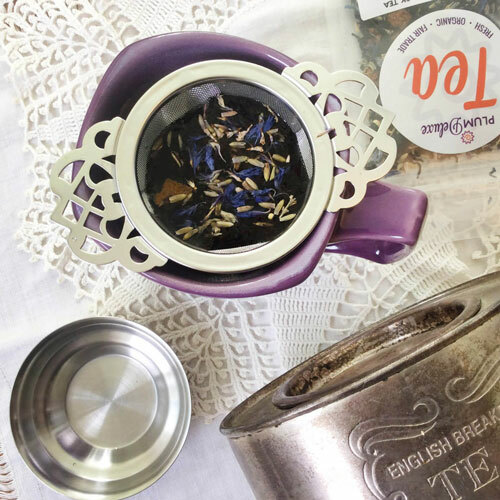 The Queen travels with a monogrammed tea kettle and her favorite blend of Earl Grey. 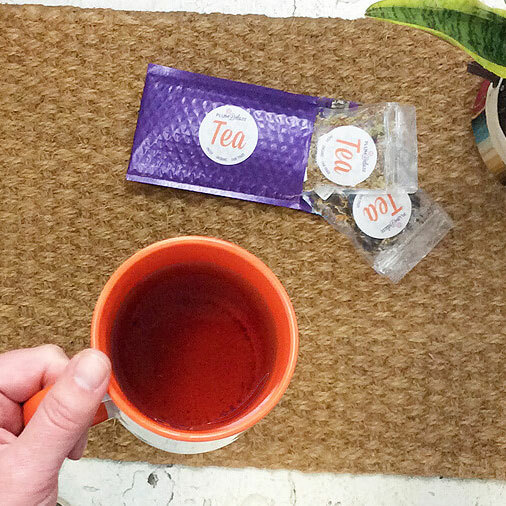 Be like the queen and have your own blend of tea fit for royalty. Our Queen’s Blend green tea is a lemon crème Earl Grey green tea — wonderful layers of complexity fall into your cup, while bright lemon, creamy vanilla, woodsy green tea, bergamot oil, plus apple pieces help add balance and softness. 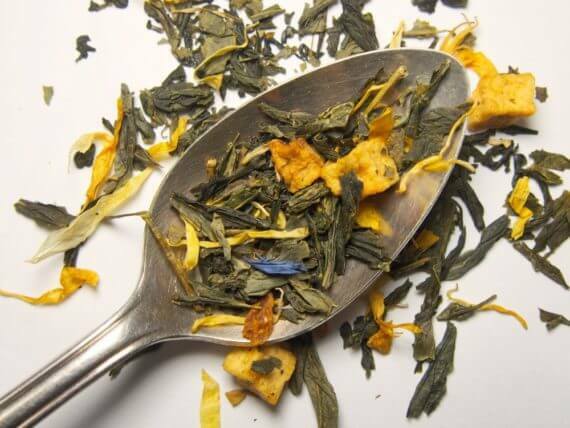 The result is, we think, the best tasting Earl Grey green tea we’ve ever had, particularly being a green Earl Grey as opposed to the traditional black tea. I was blown away by this tea. Amazing aroma, fantastic taste, I'm going to be ordering more of this one soon. 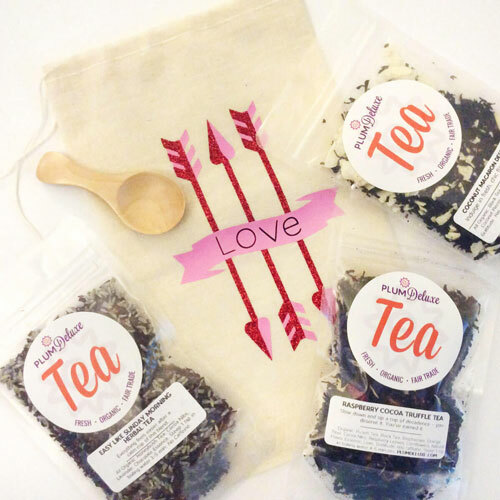 Great gift for green tea lovers or really any tea lover; make sure to get some for yourself too! Fit for a queen for sure! This tea.....this tea is one of my favs so far. "Lemon cream earl grey" in the explanation is pretty self explanatory. It's an earl grey with a twist of lemon creaminess. Its subtle but perfect. I will be ordering more for sure. I absolutely adore this tea. And so does everyone ive shared it with. It is so good, when i received it and brewed the first pot, I immediately ordered 6 more packages of it. Its *that* good. I would buy it by the pound if i could. I would give it 10 stars if i could. Very highly recommended. Buy it, you wont be disappointed. Drink it hot you feel like royalty, but cold brewed it is a refreshing iced tea. 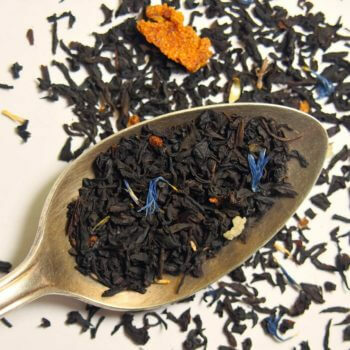 This tea has a great flavor and is good hot or cold brewed. The Vanilla blends so well with the Bergamot. 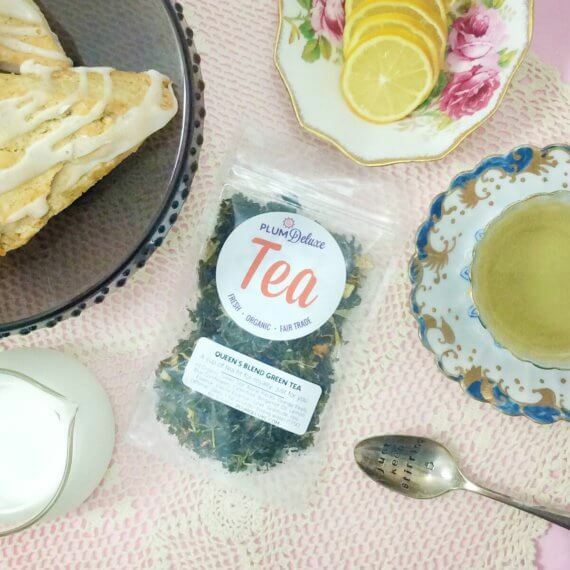 Wonderful tea for any occasion. Honestly I purchased this tea just because I was curious. I didn't think I would like it. I hate green tea because it has a tendency to be bitter and I always forget to only let it steep for 3 minutes. 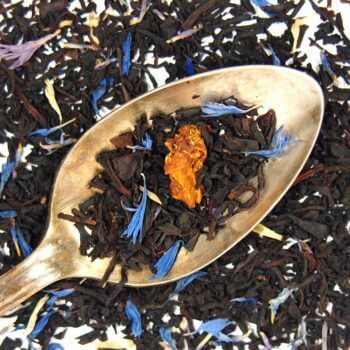 However I love earl grey....and anything british, so the name alone got me. So I get this tea and steep it perfectly. It wasn't bitter or tangy at all. I tasted the bergamot and the vanilla. There is just a hint...and I mean a hint of citrus to make it pop. I was supposed to like the tea. It's really beautiful and made my mind race with imagination. I could drink it hot or iced. It's just a lovely tea. Ingredients: Green Tea, Apple Pieces, Orange Peels, Blue Cornflowers, Calendula, Bergamot Oil, Lemon Essence, Vanilla Essence. Has caffeine. Preparation Instructions: Steep 1 tsp in 8oz below-boiling water 3-4 min. Suggested Uses: Great iced. Takes nicely to sweetener. 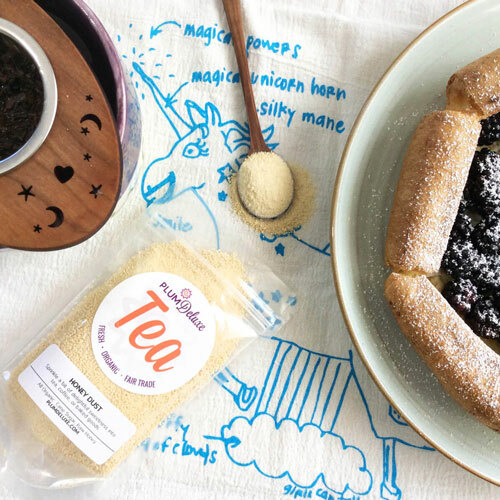 Pairs well with scones, honey lavender cake, and your fanciest teacup. Cheers, dears!